The Starck X Pressure Balance Trim is the perfect way to upgrade any shower system being renovated. With its angular form and sleek lines, this trim provides timeless style while its solid brass construction ensures it will maintain its reliability for many years to come. The ergonomic handle allows you to control the temperature and water flow with unprecedented precision. Unobtrusive faucet technology is a real winner in the bathroom: Pipelines and connections hidden in the wall not only make the bathroom more attractive, they also create more space as well. 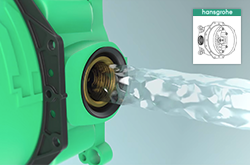 A concealed installation using the Hansgrohe iBox ensures added showering pleasure, a clear design and added freedom of movement in the shower and at the bathtub. 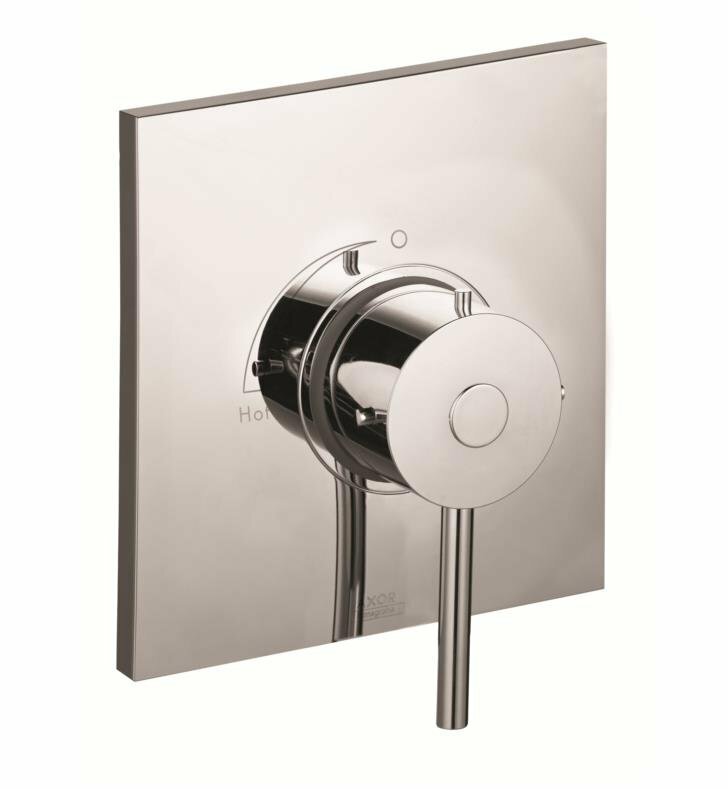 The iBox Universal basic set can be installed immediately, then combined easily with the chosen faucet design or a multi-jet overhead shower at a later date. Existing bathroom applications can also be adapted according to changing demands using the iBox Universal. W 6 3/4" x D 4 1/2" x H 6 3/4"